Destiny, like most well made games, has a very dedicated base of players upon which it continues to grow and expand as the start of a new series. 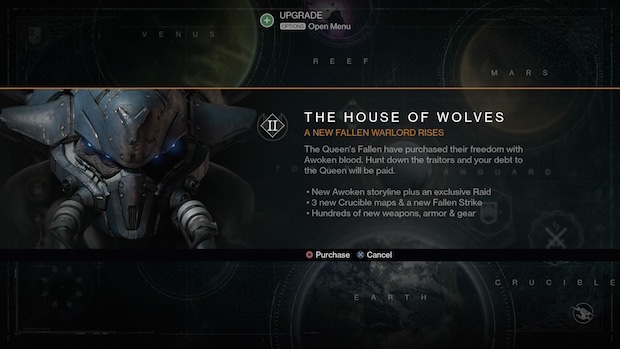 But dedicated players are often the worst enemies of developers and publishers, and the same can be said of the Reddit user that has apparently uncovered some information regarding the next piece of DLC for the game, The House of Wolves. If the picture above is legitimate, then the DLC promises to add a vast new horde of content for gamers to grind their way through to be the best that they can be. So will it truly lesson the grind for gear, or just add more gear to the game? As usual, this must be taken with a grain of salt until official words comes from Bungie.